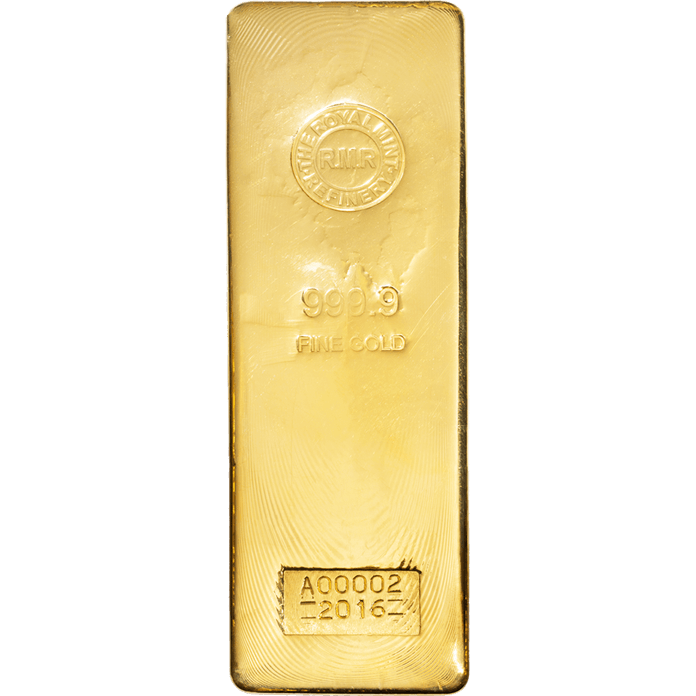 The 400 Ounce Gold bar from The Royal Mint Refinery contains 400 troy ounces of 999.9 gold and is the largest gold bar available in the RMR range. 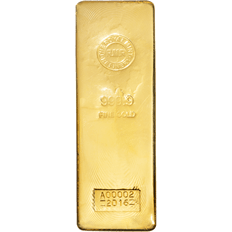 All RMR gold bars are VAT-free for non VAT registered private individuals. Each bar is imprinted with a unique serial number and the RMR logo. It is available for delivery or secure storage in The Vault™, The Royal Mint’s purpose-built precious metal storage facility. UK Delivery is available free of charge. International delivery is available but a charge will apply. Once purchased, our team will contact you to arrange a delivery method and cost (if applicable). Please contact us if you wish to discuss costs prior to purchase. Please note, dimensions shown for all cast gold and silver bars are approximate and are provided for guidance only.